Cosmetics definitely enhance the beauty of women. It makes them look more feminine and also boostthe confidence to a new level. Who doesn’t want to look pretty? The new trend is to own specific cosmetics which go heavy on the pockets. 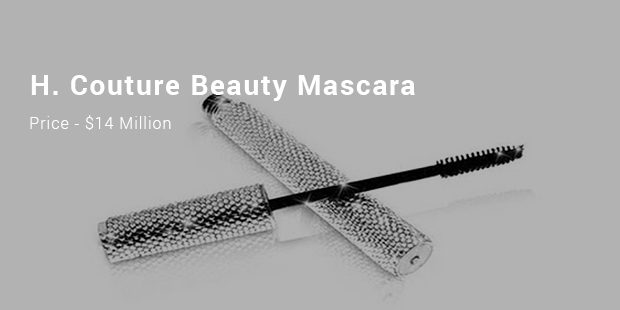 H Couture was established in 2006 and is the initial company to have designed a mascara tube embellished with 1000 Swarovski crystals. A client ordered H Couture to make a mascara case of 18k gold with 2,500 blue diamonds and a lipstick casing with 1,200 pink diamonds. Apart from the one time mascara tube, the company also provides options like refill, 24/7 telephonic services. However the company has closed its shop now. Models Own was established in 2008, is a fashion and trend color accessory company. It offers wide-range of products from eyes, lips and nails. Usually the company’s nail polish cost $8. 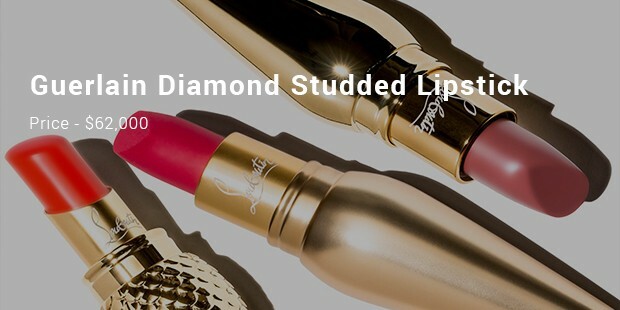 The company however came out with a new gold nail polish that is placed is a designer bottle studded with 1,118 diamonds. This bottle is all glittery and attractive. Guerlain, actually a perfume house was established in 1828. The perfumes have a unique fragrance and are widely known for their extra-ordinary aroma. Later Louis Vitton now owns the company. Later Guerlain started its range of skin care and make-up products. The normal lipstick of Guerlain costs $48 per tube. Guerlainl later manufactured an 18karat gold lipstick tube. An icing on the cake is it is studded with around 199 free diamonds that weigh 2.2 carats. There are also rubies and emeralds coated into the tube. The entire tube weighs about 110 grams. A customer has a choice to opt for a customized color of shade. 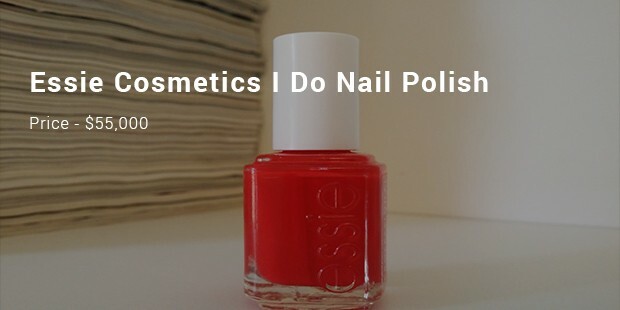 The main idea of Essie Cosmetics was to create nail polishes with hot and unique colors. The color was supposed to be equally cute and fashionable. A new color added to the collection of trendy nail polish is the platinum polish. 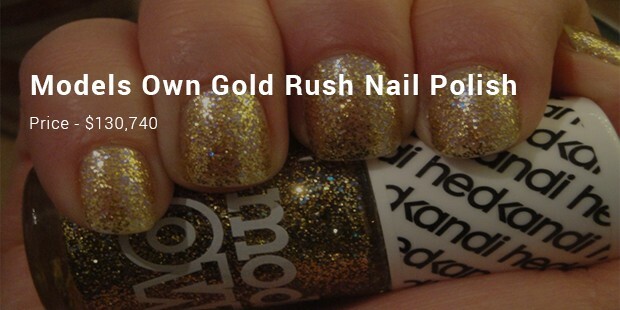 Usually a normal nail polish bottle of this brand costs $250. The company, teaming up with Allure magazine and partnering with Platinum Guild International went a step ahead by producing a platinum nail polish.The nail polish bottle is completely made of platinum and then filled with powdered platinum of the polish. The design of the bottle gives this product a stylish yet elegant look. You would not want to buy the product for the nail polish but definitely for the way the bottle is placed. These eyelashes are made of diamonds and 18 carat gold. While the company has affordable eyelashes at $16, the beauty gold and diamond eyelash give you a richer ad classy look. 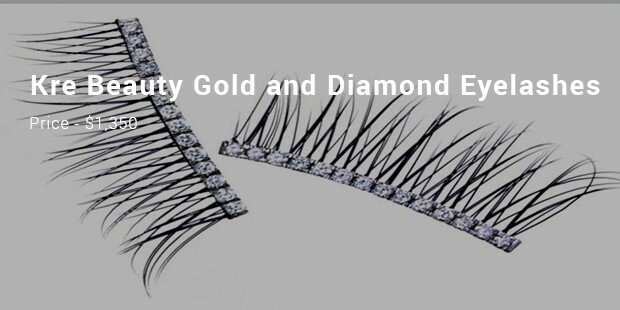 While the company swears by the beauty of its more affordable eyelashes at $16, the gold and diamond eyelashes provide a sophisticated and classy look. With a price tag of $1,350, the eyelashes also reflect a woman’s wealth.